and you won't even be looking at the sky." Bryan and I have been planning this for months. 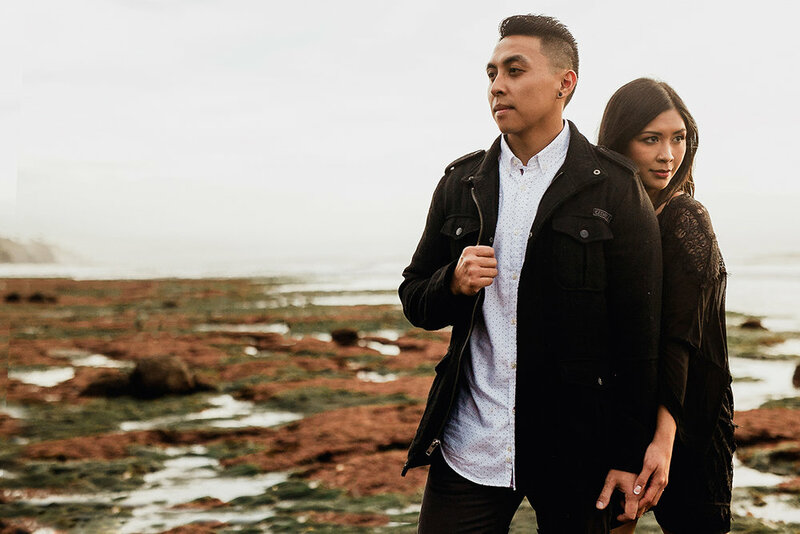 We first set out to do two locations: head to Sunset Cliffs first then end the shoot in the Cabrillo Tide Pools. 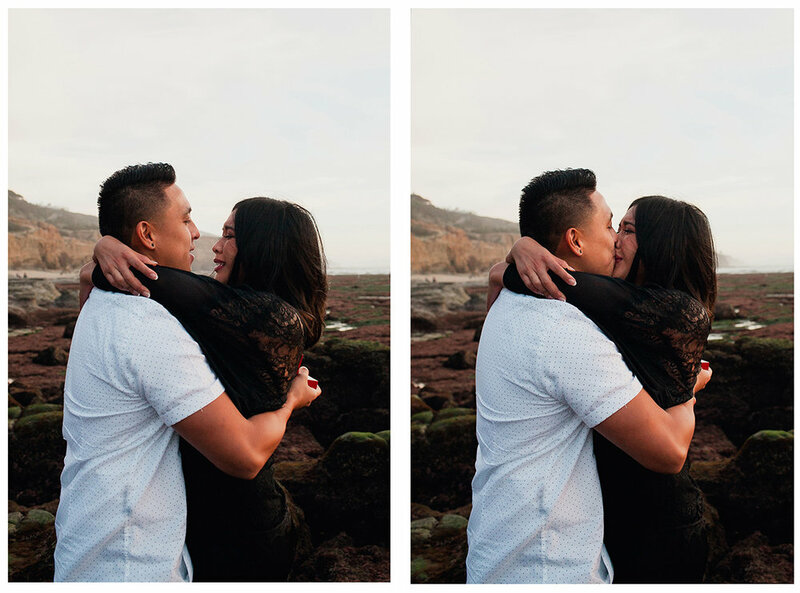 Although the two locations were only a few minutes apart, with the sun setting soon, we decided to forego the first location and just do the entirety of the shoot in Cabrillo. But with just about anything, the best laid out plans can still go awry. 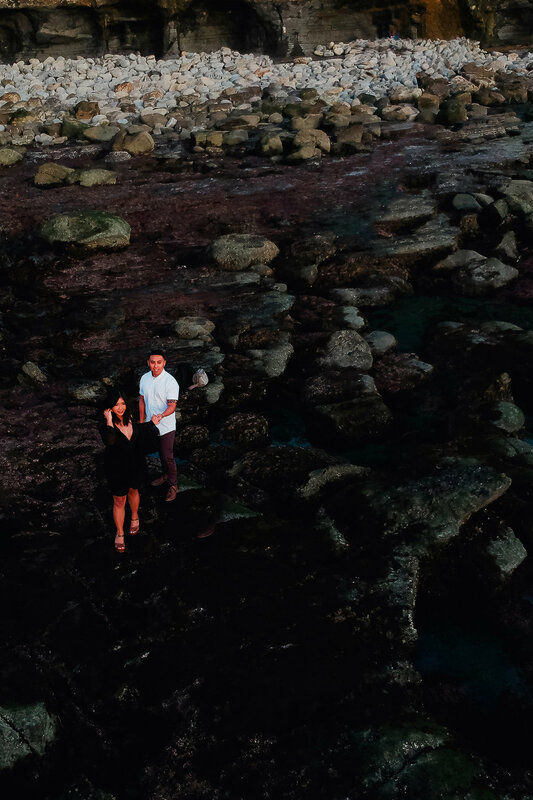 Upon reaching the entrance to the tide pools, we suddenly found out that the location was closed due to the recent government shutdown. “It’s all good.” Bryan reassured us. Although I can tell he was kind of bummed. It was on that location where he was planning to take Danielle. 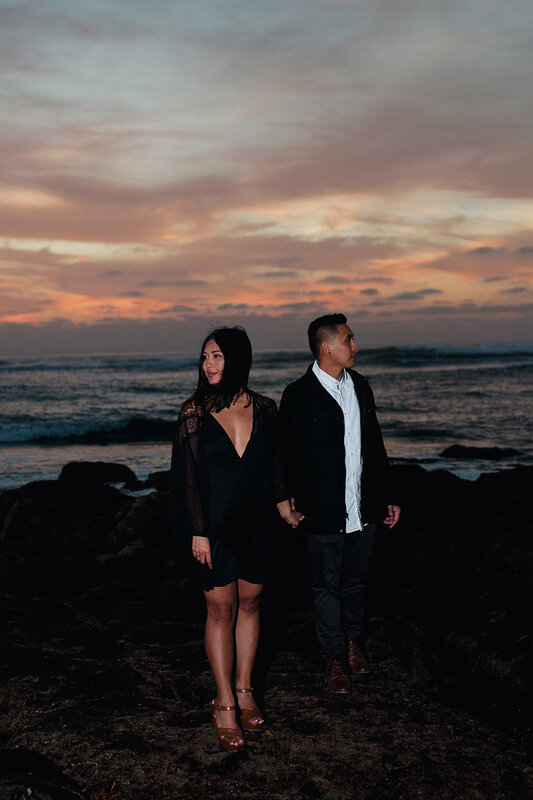 Down to where the tide pools are and propose there during sunset. So with our tails tucked between our legs we decided to head back to Sunset Cliffs and hoped for the best. 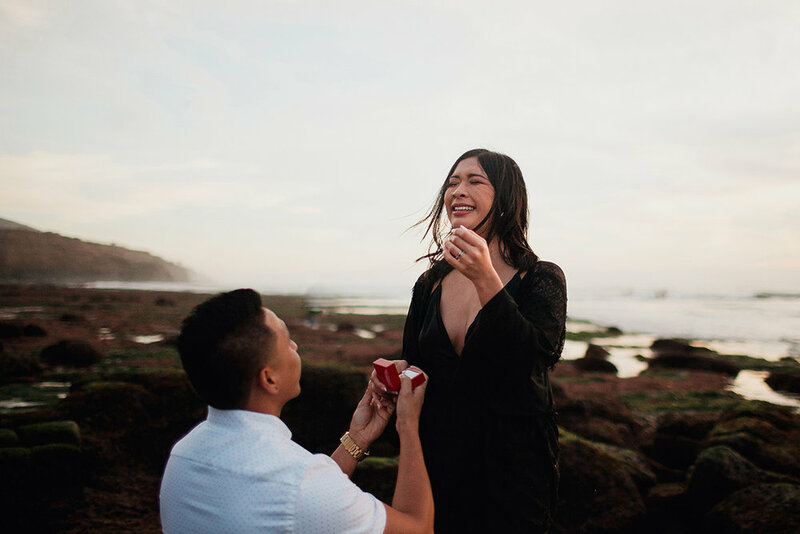 During my initial talks with Bryan about his plans to propose, he made it apparent that there was two things that was important to him. 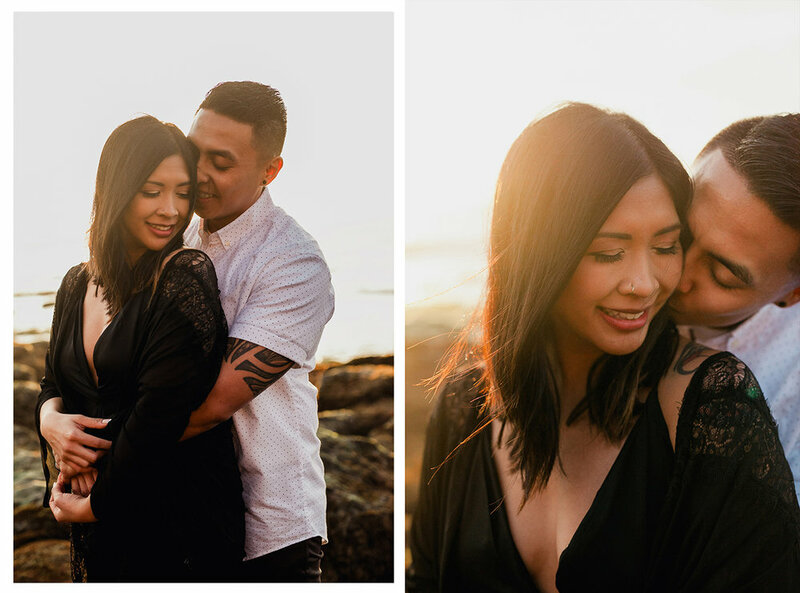 It has to be by the beach and since Danielle also dabbles with photography, it has to be around the golden hour. He knew how important lighting is to her. So as we were driving back to our first location, uncertainty suddenly hit me. 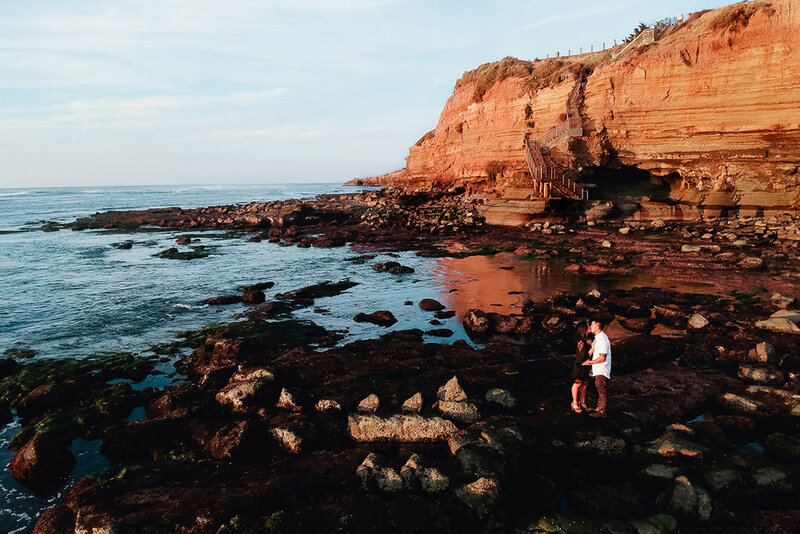 I suddenly remembered how my Google searches of Sunset Cliffs only resulted with images shot from above the lookout, overlooking the ocean. Bryan’s plans, although far from being a complete disaster, seemed to be heading in the wrong direction. Far from what we initially planned. 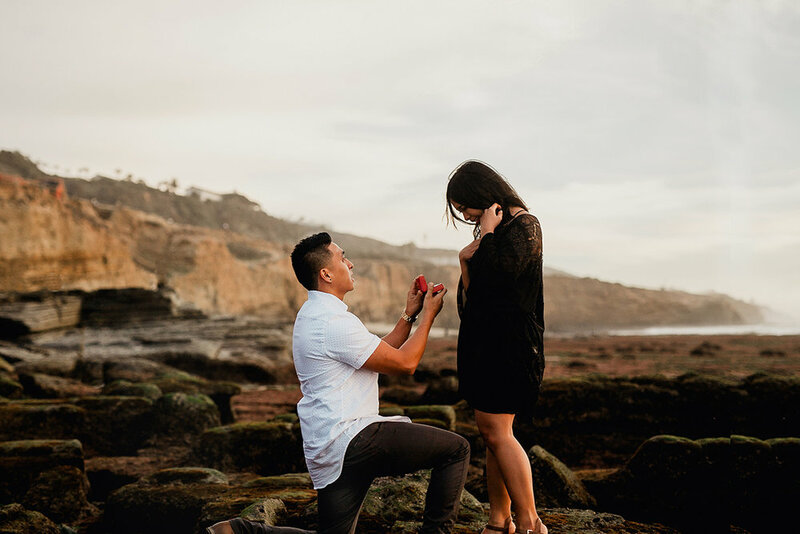 And although the moments and the emotions during the proposal is what I will be aiming to capture, it won’t hurt if we were by the ocean, with a spectacular sunset as the backdrop. She slowly turned around. Somewhat unsure of what was she’s supposed to do, or where Bryan was or what was going on. She looked down and her eyes grew round. She might have yelled, or let out a gasp, I’m not sure. The waves crashing into the surf drowned out everything. But what I witnessed was pure joy and happiness. That I’m sure of. 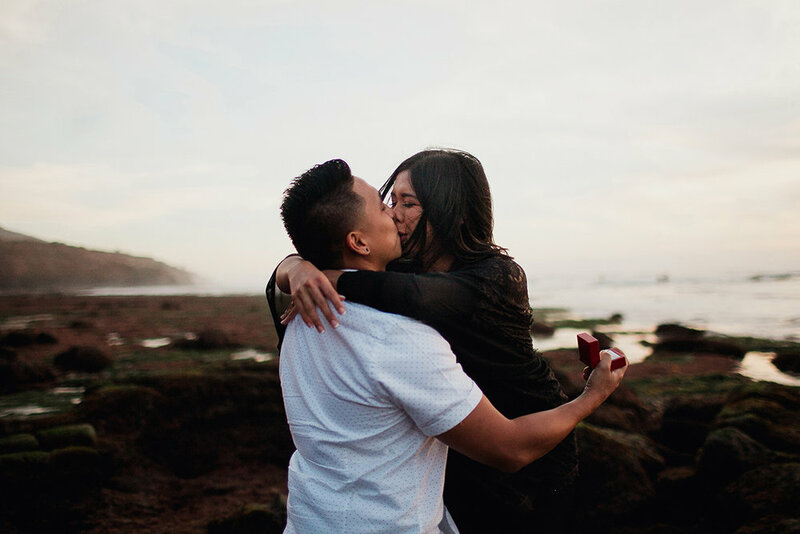 My heart slowed its rapid beating as a sense of calm came over me as the couple shared their first embrace as an engaged couple. To be honest, I was nervous in the beginning since I was beating myself up with making sure to try to capture every angle, every moment and every emotion that was bound to happen. But a sense of satisfaction finally sunk in so I finally let my guard down. 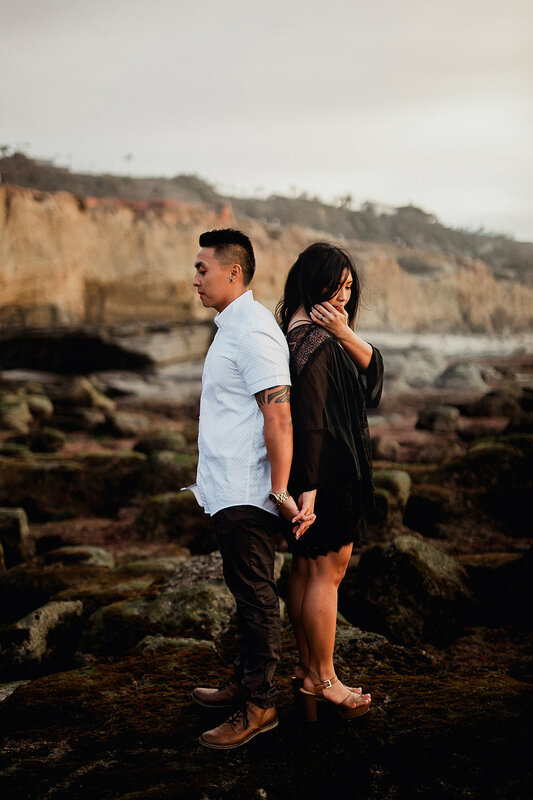 I usually like to direct my couples on what to do during a shoot. But this time I had to step back and let them enjoy their time with each other as the final moments of the sun setting provided us with a gorgeous sky. Surrounded by an iridescent display of fire colored-clouds, Bryan took Danielle in his arms and kissed her. 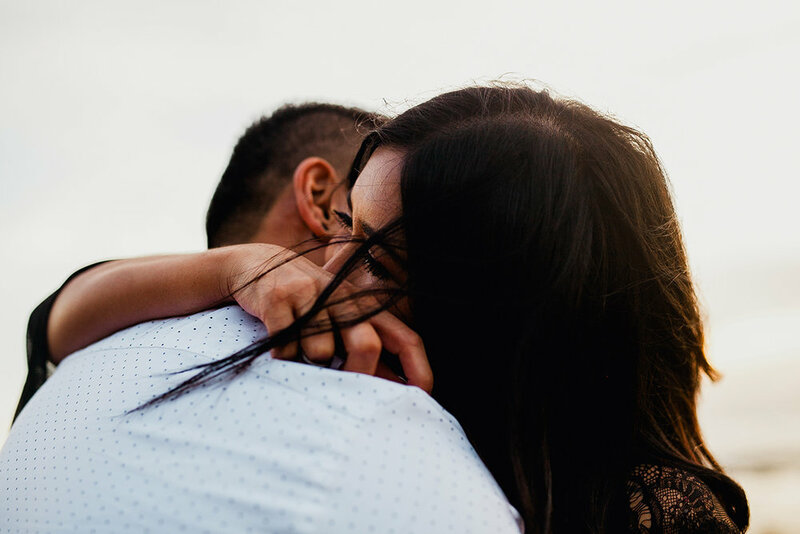 In that moment nothing was more powerful, nor as beautiful than two people in love, as the sun disappeared over the horizon.